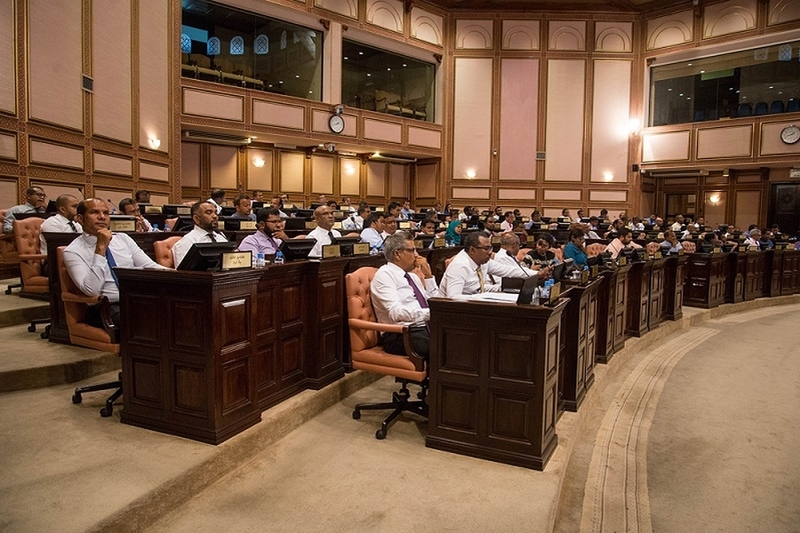 As part of the human rights reforms pledged by President Ibrahim Solih, after taking power in November 2018, the Maldives parliament passed a bill on 14th November 2018 to repeal the draconian Anti-Defamation and Freedom of Expression Act that criminalised defamation in the country. The 2016 law was abolished with 38 votes in favour and 13 against with 51 MPs present from the 85-member house. As previously documented, threats and prosecutions against the media and opposition critics increased after the August 2016 enactment of the criminal defamation law. The law sets heavy fines for content or speech that “contradicts a tenet of Islam, threatens national security, contradicts social norms, or encroaches on another’s rights, reputation, or good name”. Fines ranged from 50,000 to 2 million Maldivian rufiyaa (MVR) (USD 3,200 to 130,000) for media outlets, and from MVR50,000 to 150,000 (USD 3,200 to USD 9,600) for individual journalists. Those convicted could appeal only after first paying the fine. Media outlets that failed to pay the fines could have their licenses suspended or revoked while journalists who failed to pay faced prison terms of between three and six months. In January 2019, Human Rights Watch (HRW) raised concerns about threats against Ibrahim Ismail, the chairman of Mandhu College in the Maldives and a former lawmaker for expressing his religious views. Ibrahim has made comments, after a magistrate in Naifuri sentenced a 25-year-old woman, on 7th January 2019, to death by stoning on charges of adultery. Although the Maldives Supreme Court overturned the verdict the following day, a debate continued on social media. When Ibrahim challenged Islamic clerics over claims that the Prophet Mohammad had called for such a punishment, it prompted a group of around thirty unidentified assailants to break the glass on his school’s main door on 23rd January 2019. There were also open threats from Islamist groups that accused him of blasphemy. The protest continued with about 50 people marching in the capital’s suburb Vilimalé. Calls to “behead Ibra” and “hang Ibra” were heard among chants to arrest him and “protect Islam.” They also set up a social media campaign to track his movements. Transparency Maldives expressed concern after the attack on Mandhu College. The NGO said “differences of opinion should not be met with calls for violence and damage to property” and urged the authorities to prevent such calls as “a prerequisite to establishing a society that respects human rights”. While police are investigating the attack on the college, they have also questioned Ibrahim about his social media comments on religion. The Islamic ministry condemned those who “encourage harshness and violence in the name of religion,” but also warned citizens against mocking Islam. According to HRW, “extremist groups in the Maldives, some linked to politicians, have endorsed violent ultra-nationalist or Islamist ideology. Islamist groups have deemed detractors as apostates, and several, have been threatened on social media”. In November 2018, President Solih established an inquiry commission to probe unresolved murders and disappearances including of blogger and activist Yameen Rasheed and the abduction of Maldives Independent journalist Ahmed Rilwan. The commission was mandated with conducting “a free, independent and trustworthy investigation” into cases between 1st January 2012 and 17th November 2018, that were “not properly investigated for various reasons.” The commission is comprised of former attorney general Husnu Suood as chair along with Abdulla Munaz, Adam Ibrahim, lawyer Fareesha Abdulla and journalist Misbah Abbas. The commission plans to seek foreign expert assistance and offer regular updates to the public promising transparency and expressing confidence of uncovering the truth. As previously documented, human rights groups and activists in the Maldives have continued to demand justice for the death of blogger and social media activist, Yameen Rasheed. Rasheed had been a vocal critic of rising religious extremism, human rights abuses, injustice and government corruption in the country. In a shocking murder that marked a worrying attack on freedom of expression, Rasheed was found stabbed to death on 23rd April 2017 outside his apartment building. He had received multiple death threats before his murder, which he had reported to the police. In October 2018, the trial against alleged perpetrators of Rasheed’s murder, resumed with family attending a hearing for the first time. Ahmed Rilwan, a reporter with the Maldives Independent newspaper, was likely abducted in August 2014 and has been missing since. He wrote pointed critiques of the government and the spread of radical strains of Islam. In August 2018, the Criminal Court acquitted two individuals accused of conspiring to abduct Rilwan. The weak police investigation into Rilwan’s case and concerns about the credibility of the trial has raised serious questions about the willingness of the state to bring the perpetrators to justice. Some believe that the disappearance of Ahmed Rilwan and the incomplete investigation that followed were state-sponsored. In November 2018, the Supreme Court overturned a terrorism conviction against the country’s first democratically elected leader Mohamed Nasheed, who fled into exile after being sentenced to 13 years behind bars. The court said that Nasheed was wrongfully charged and should not have been convicted in the 2015 trial described by the UN as "politically motivated". Nasheed went into exile a year later, while travelling abroad seeking medical treatment. On 28th January 2019, the Prosecutor General’s (PG) Office retracted politically-motivated terrorism charges against former Chief Justice Abdulla Saeed, Mahchangoalhi West MP Abdulla Sinan, and Dhagethi MP Ilham Ahmed. Letters sent by the PG Office in the previous week notified each individual that the terrorism case filed by the previous regime for orchestrating a coup would be discontinued. The PG Office also recently retracted terrorism charges against former President Maumoon Abdul Gayoom, Kinbidhoo MP Mohamed Riyaz and Dhiggaru MP Ahmed Faris Maumoon. The previous government of President Yameen Abdul Gayoom had consistently abused the overbroad anti-terror law as a blunt-force tool to arbitrarily and indiscriminately silence perceived political threats to his regime.